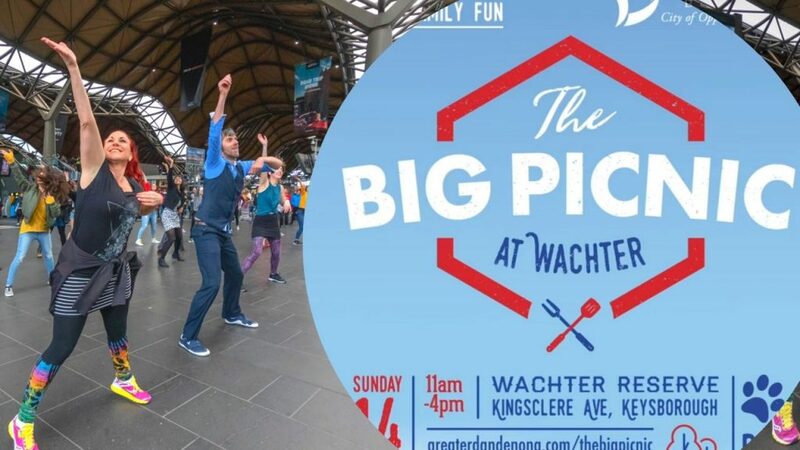 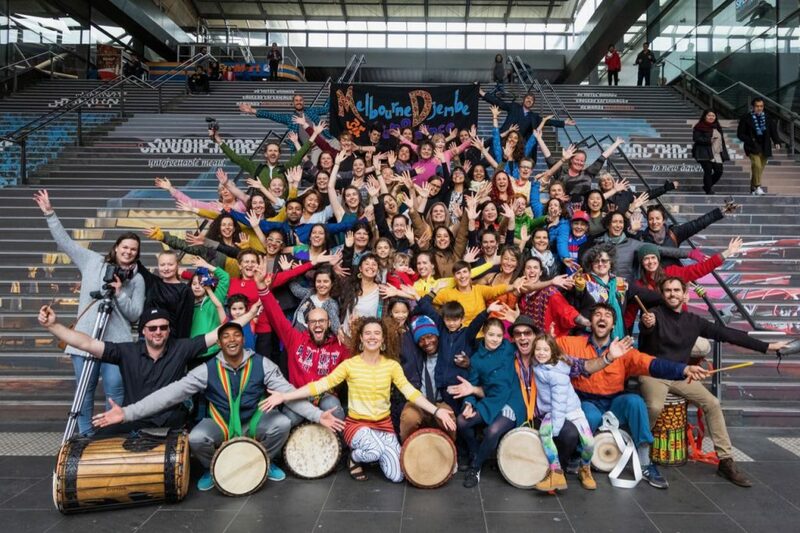 For the past four years, we have had a spot on the main stage at Federation Square for this wonderfully diverse festival. 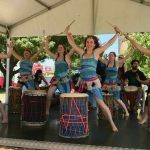 Come and see us – or be part of the performance! 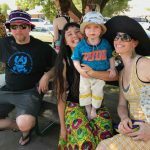 Beautiful memories of a superb day. 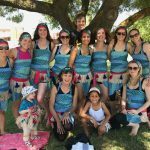 Perhaps you can spot yourself! 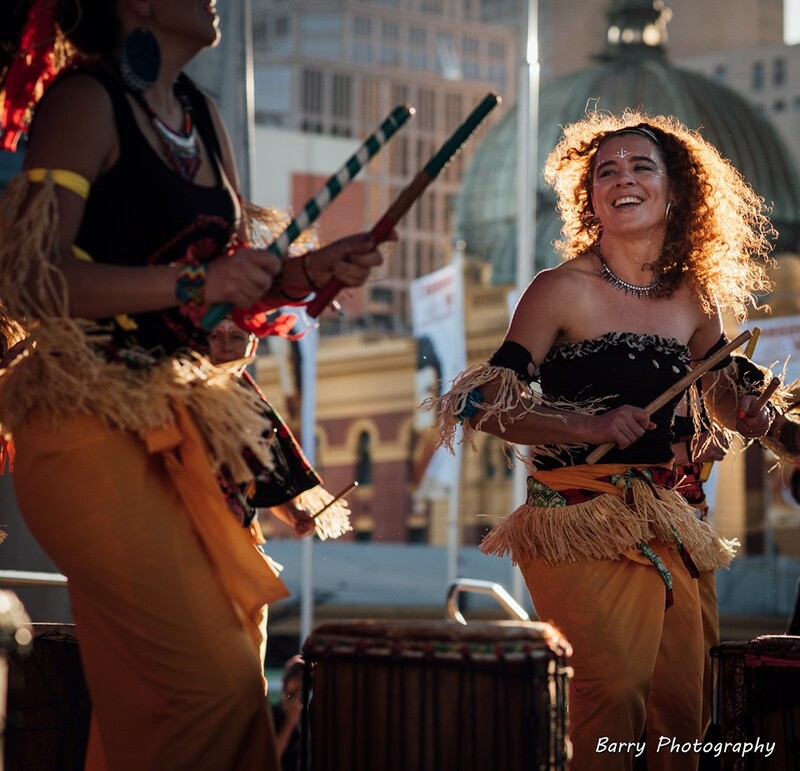 Mitzi McRae is visiting Canberra to run dance workshops. 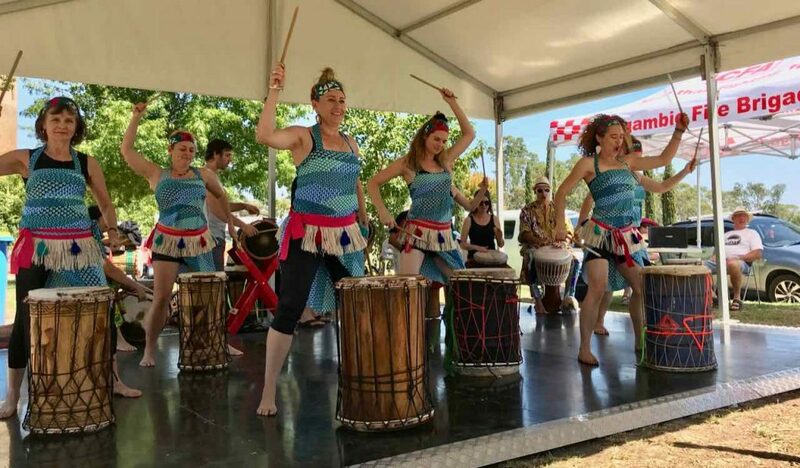 These 3 workshops will focus on dances from Guinea Conakry and will be accompanied by live drumming. 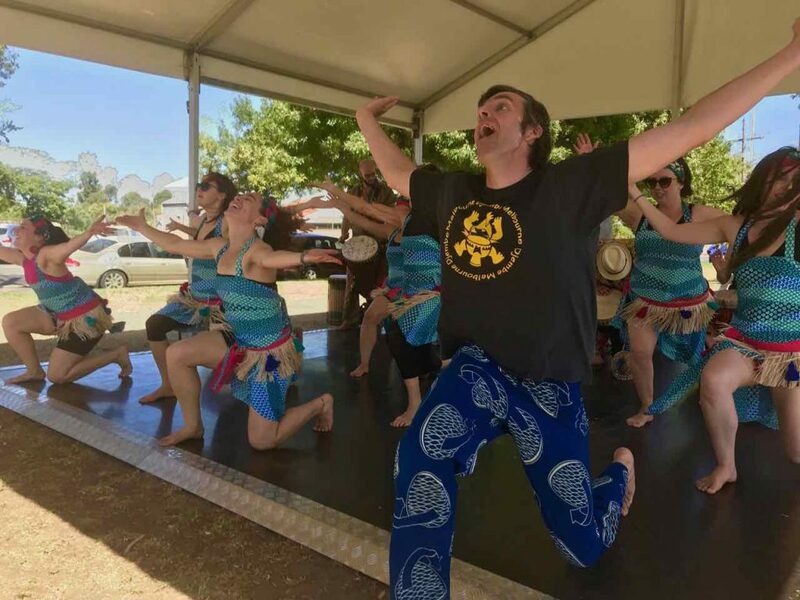 Even if you missed the Southern Cross performance, you are welcome to join the next one! 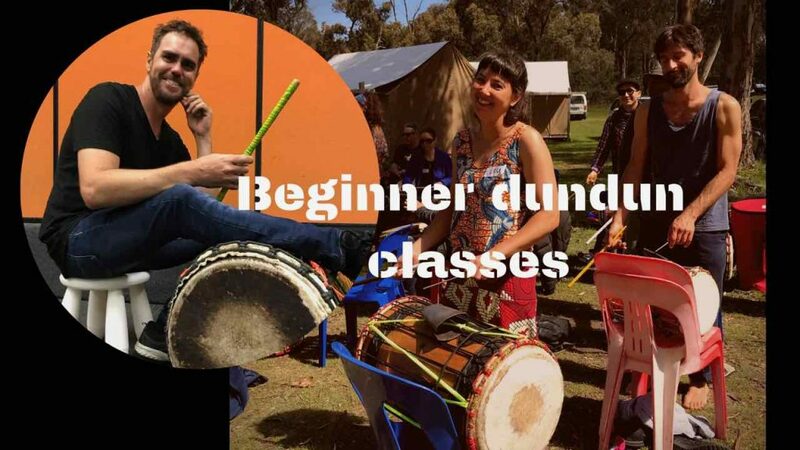 We are now offering dundun (drumming) classes for beginners. 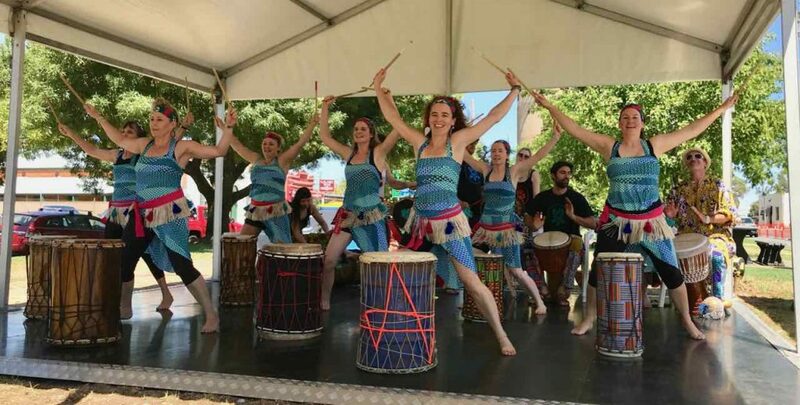 Dunduns are the cylindrical drums played with sticks. 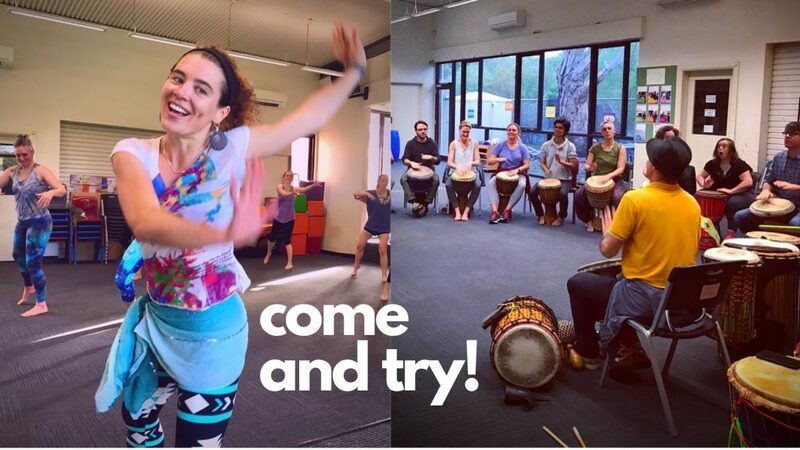 Wednesdays 7.30-8.30pm. 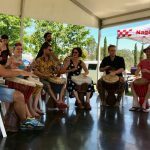 All instruments supplied. 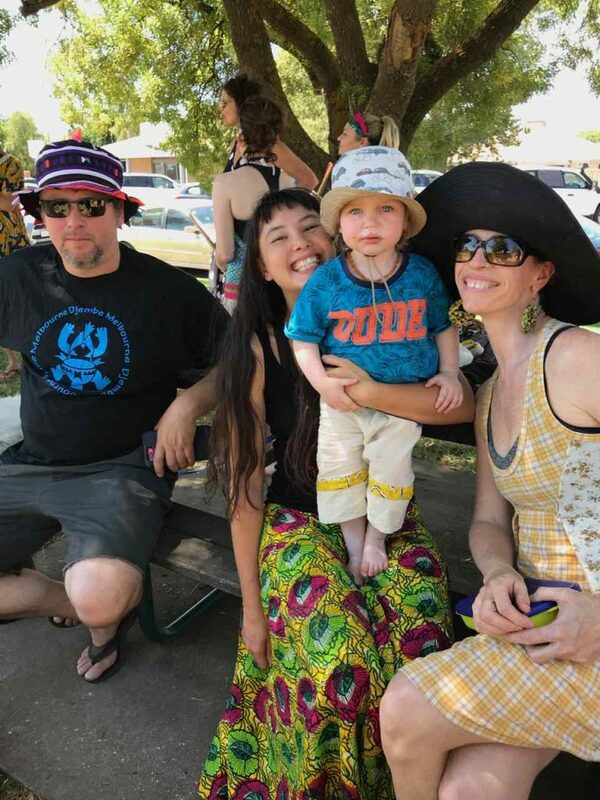 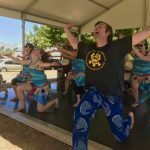 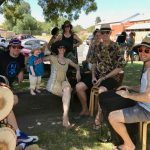 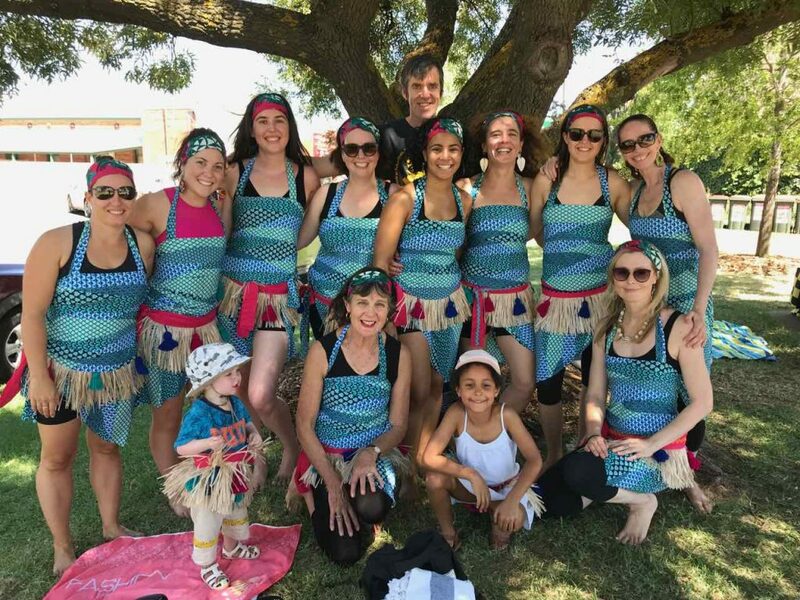 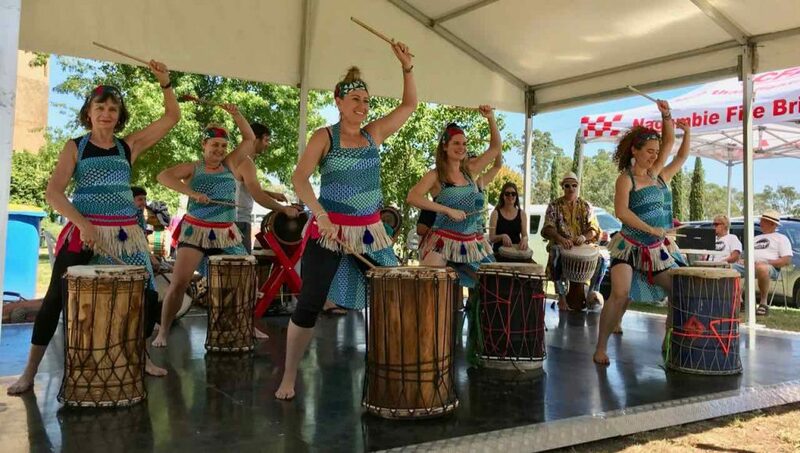 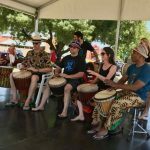 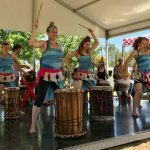 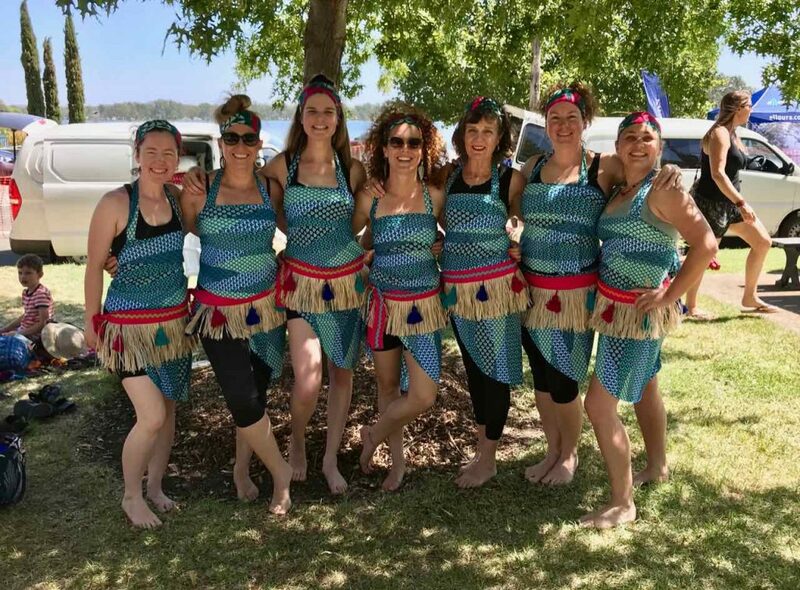 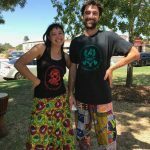 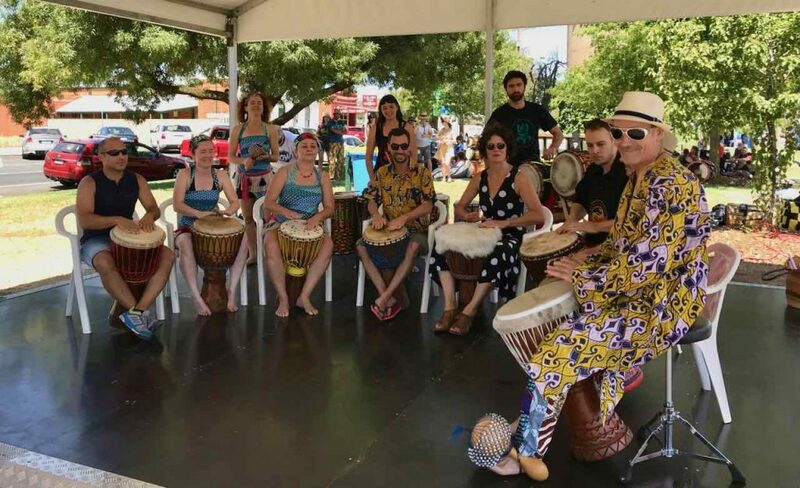 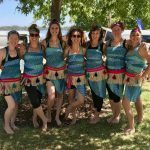 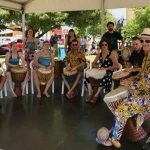 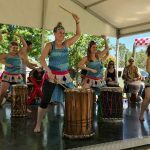 Melbourne Djembe students will be performing at this year’s Nagambie on Water Festival on Saturday 2nd March. 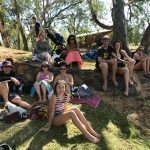 Come on a camping holiday with us! 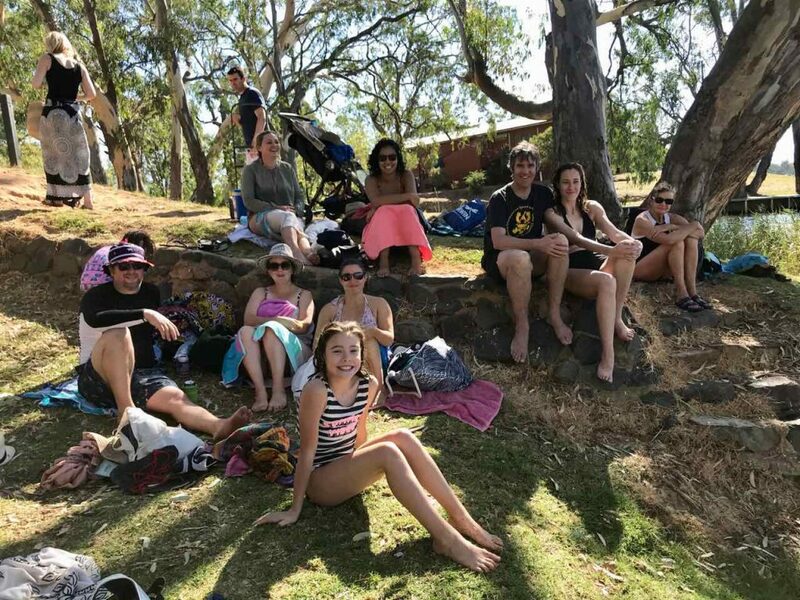 On 20th January we had a ‘Come and Try’ day. 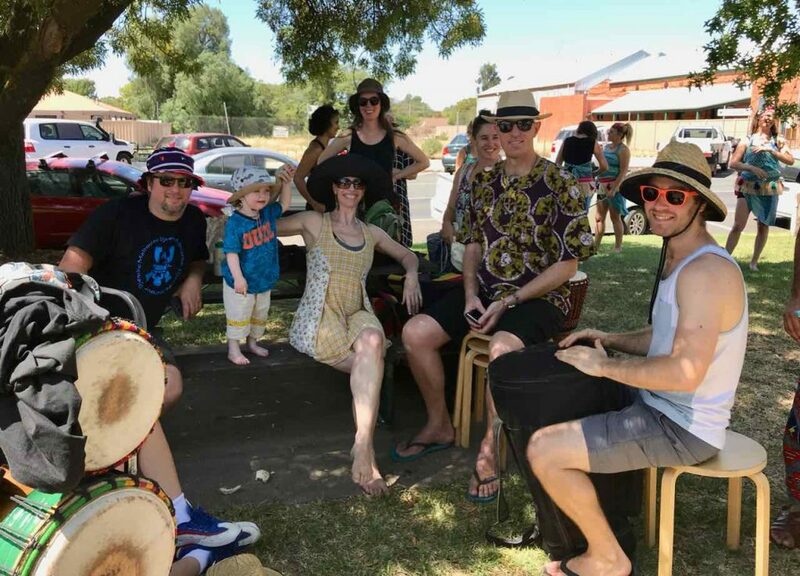 Check out the photos of all the lovely people who came along. 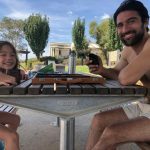 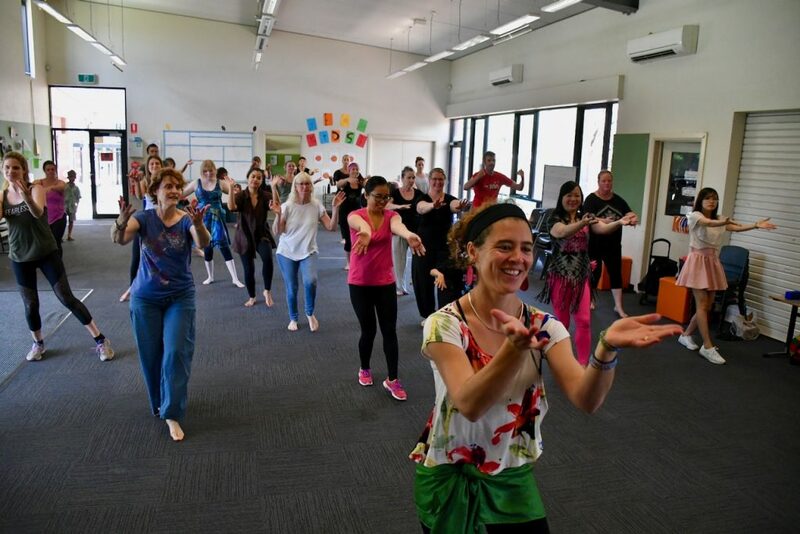 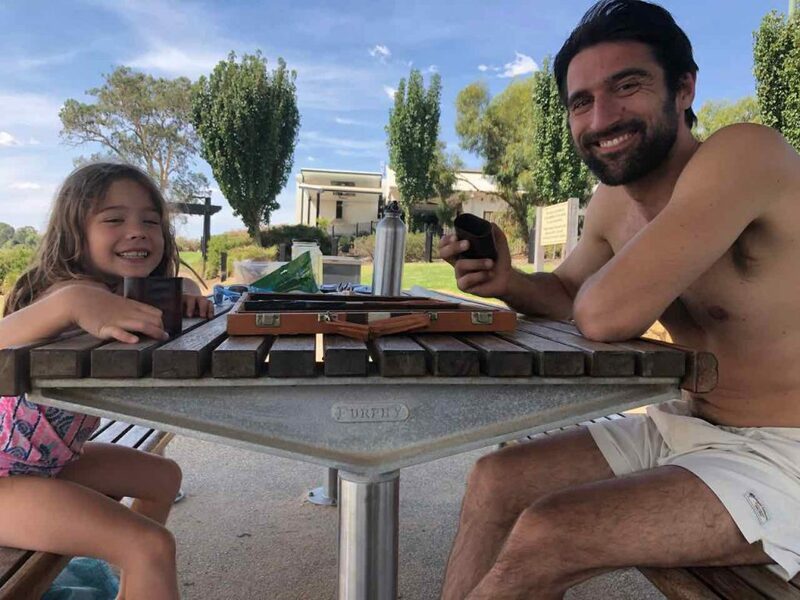 Book now for Term 1 classes! 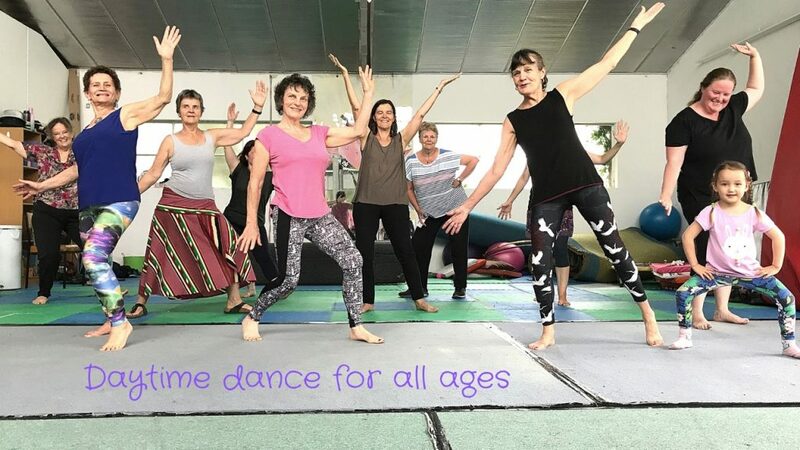 This is an introduction to Mitzi’s Thursday daytime dance class, for all body types, ages and stages! 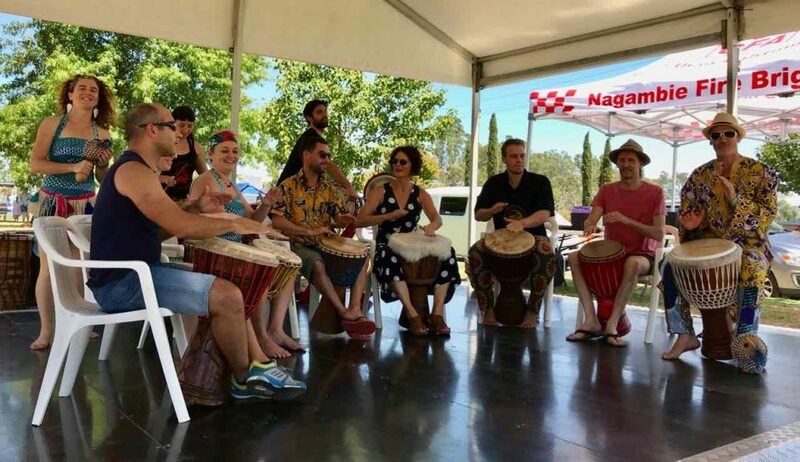 The week before classes officially start for the year, we are having a social day to try something new, catch up with old friends and introduce new people to our community. 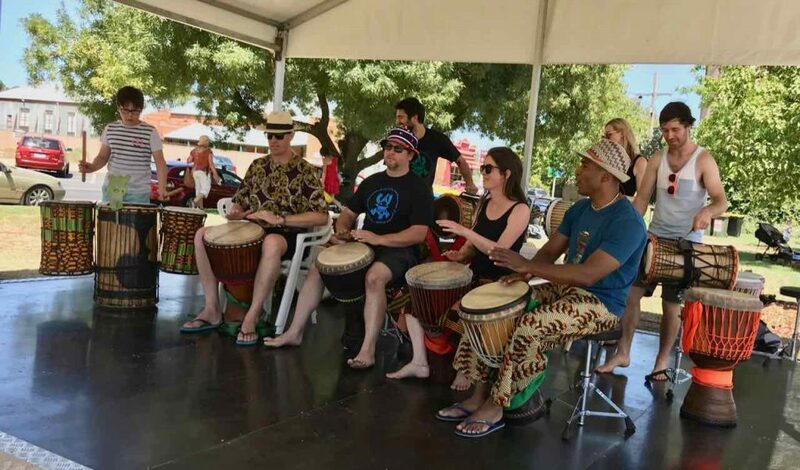 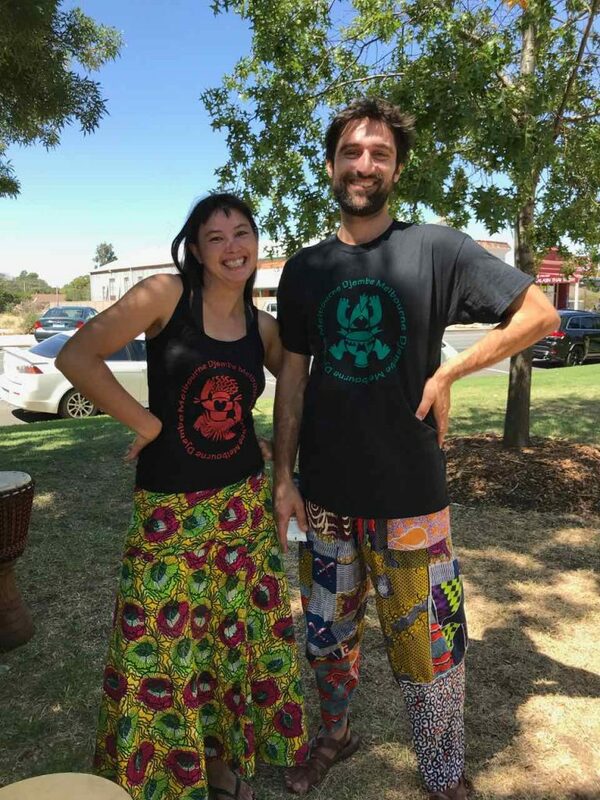 We provide West African percussion experiences, instruments, performances, classes and workshops.